It’s been 50 years since Robert Kennedy’s 1966 visit to South Africa during the worst years of Apartheid. 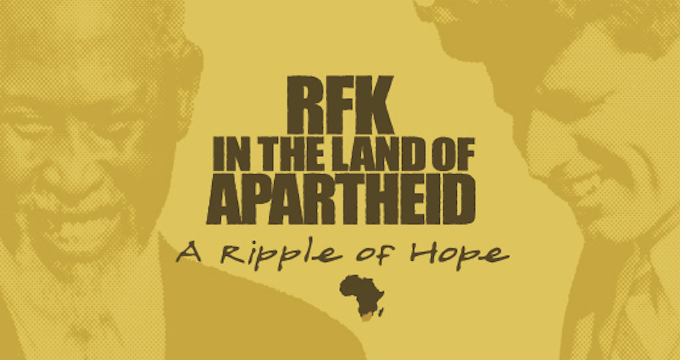 Using never before seen archival footage, and interviews in South Africa and the United States, filmmakers Larry Shore and Tami Gold tell this unknown story in RFK In The Land of Apartheid. We are thrilled to screen this film on Sunday, April 10 at 1:30 p.m., followed by a Skype discussion with Larry Shore. Tickets now on sale.